We’ve all been involved in intense Nerf gun wars at some point and time growing up, and if you haven’t then you haven’t lived! But as we get older, Nerf guns just don’t seem to have the same luster, but YouTuber Mark Rober has created a game changer. Rober constructed the world’s biggest Nerf gun, comprised of toilet plungers and pool noodles, and capable of shooting giant darts at 40 miles per hour. 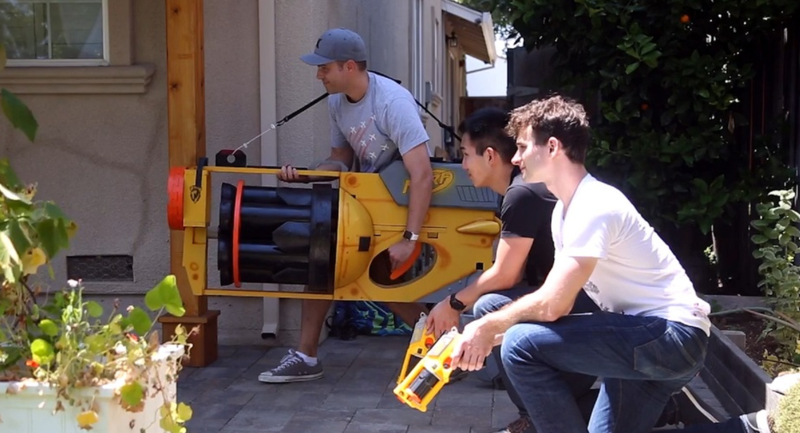 The world’s biggest Nerf gun features a 3000 psi paintball tank that shoots air into a firing chamber when the trigger is pushed forward, and effectively ends any Nerf war when brought onto the scene. Incredibly, the gun works just like a traditional Nerf gun, requiring you to pull back the massive trigger to unleash fury on its victims. Asteroid Mining: What Materials Will be Mined?